Then it’s very easy to setup supervisord to send emails when a daemon changes the state because of a crash or something else. Of course, superlance can listen many different event signals from supervisor and can take different actions like call to HTTP URL or send SMS. I want to recommend you to take look to the package documentation it could be useful to understand all the superlance power. In the next lines I’ll describe with more details the properties and features of AMQP elements. It won’t be an exhaustive description but in my opinion more than enough to start playing with AMQP queues. When producers and consumers connects to the broker using a TCP socket after authenticating the connection they establish a channel where AMQP commands are sent. 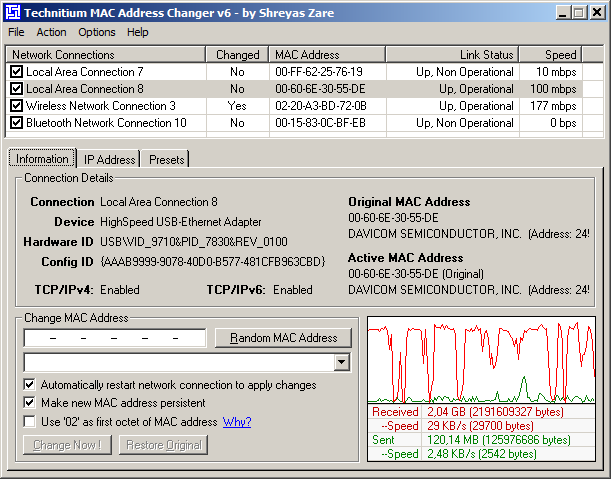 The channel is a virtual path inside a TCP connection between this is very useful because there can be multiple channels inside the TCP connection each channels is identified using an unique ID. An interesting parameter of a channel is confirmation mode if this is set to true when messages delivered to a exchange finally gets their queues the producer receives an acknowledge message with an UID of the message. This kind of messages are asynchronous and permits to a producer send the next message when it is still waiting the ACK message. Of course if the message cannot be stored and it is lost the producer receives a NACK (not acknowledged) message. Maybe this is the most simple part of the system. Producers only need to negotiate the authentication across a TCP connection create a channel and then publish all messages that want with its corresponding routing key. Of course, producers can create exchanges, queues and then bind them. But usually this is not a good idea is much more secure do this from consumers. Because when a producers try to send a message to a broker and doesn’t have the needed exchange then message will be lost. Usually consumers are connected all time and subscribed to queues and producers only connect to brokers when they need to send messages. When a consumer connects to a queue usually uses a command called basic.consume to subscribe the channel to a queue, then every time subscribed queue has a new message it is sent to consumer after last message is consumed, or rejected. If consumer only want to receive one message without a subscription it can use the command basic.get.This is like a poll method. In fact, the consumer only gets a message each time it sends the command. You can get the best throughput using basic.consume command because is more efficient than poll every time the consumer wants another message. When more than one consumer was connected to a queue, messages are distributed in a round-robin. After the message is delivered to a consumer this send an acknowledge message and then queue send another message to next consumer. If the consumer sends a reject message the same message is sent to next consumer. auto_ack: this is a parameter we can set when consumer subscribes to a queue. The setting assumes ACK message from consumer and then queue sends next message without waiting the ACK message. The message basic.reject is sent when the consumer wants to reject a received message. This message discards the message and it is lost. If we want to requeue the message we can set the parameter requeue=true when sent a reject message. When the queue is created there can be a parameter called dead letter set to true, then consumer rejects a message with the parameter requeue=false the message is queued to a new queue called dead letter. This is very useful because after all we can go tho that queue an inspect the message rejection reason. Both consumers and producers can create a queue using queue.declare command. The most natural way is create queues from consumers and then bind it to an exchange. The consumers needs a free channel to create a queue, if a channel is subscribed to a queue, the channel is busy and cannot create new queues. When a queue is created usually we use a name to identify the queue, if the name is not specified it’s randomly generated. This is useful when create temporary and anonymous queues for RPC-over-AMQP. exclusive – this setting makes a queue private and is only accessible from your application. Only one consumer can connect to a queue. auto-delete – when last consumer unsubscribes from queue the queue is removed. passive – when create a queue that exists the server returns successfully or returns fail if parameters don’t match. If passive parameter is set and we create a queue that exists always returns success but if the queue doesn’t exist it is not created. durable – the queue can persist when the services reboots. In the first post of the serie we talked about different exchange types as you can remember these types are: direct, fanout and topic. And the most important parameter to set when producer sends a message is the routing key this is used to route the message to a queue. Once we have declared an exchange this can be related with a queue using a binding command: queue_bind. The relation between them is made using the routing key or a pattern based in routing key. When exchange has type fanout the routing key or patterns are not needed. Some pattern examples can be: log. *, message. * and #. type: direct, fanout and topic. durable: makes an exchange persistent to reboots. A broker is a container where exhanges, bindings and queues are created. Usually we can define more than one virtual brokers in the same server. Virtual brokers are also called virtual hosts. The users, permissions and something else related to a Broker cannot be used from another one. This is very useful because we can create multiple brokers in the same physical server like multi-domain web server and when some of this virtual hosts is too big it can be migrated to another physical server and it can be clustered if it is required. An AMQP message is a binary without a fixed size and format. Each application can set it’s own messages. The AMQP broker only will add small headers to be routed among different queues as fast as possible. Messages are not persistent inside a broker unless the producer sets the parameter persistent=true. In the other way the messages needs to be stored in durable exchanges and durable queues to persist in the broker when it is restarted. Of course when the messages are persistent these must be wrote to disk and the throughput will fall down. Then maybe sometimes create persistent messages is not a good idea.